Sloane, Ardie, Grace, and Rosalita have worked at Truviv, Inc. for years. The sudden death of Truviv’s CEO means their boss, Ames, will likely take over the entire company. Each of the women has a different relationship with Ames, who has always been surrounded by whispers about how he treats women. Those whispers have been ignored, swept under the rug, hidden away by those in charge. But the world has changed, and the women are watching this promotion differently. This time, when they find out Ames is making an inappropriate move on a colleague, they aren’t willing to let it go. This time, they’ve decided enough is enough. Sloane and her colleagues’ decision to take a stand sets in motion a catastrophic shift in the office. Lies will be uncovered. Secrets will be exposed. And not everyone will survive. All of their lives—as women, colleagues, mothers, wives, friends, even adversaries—will change dramatically as a result. "If only you had listened to us,” they tell us on page one, “none of this would have happened." "Don't be fooled by its title. Whisper Network is a primal roar of a novel. Furiously funny and just plain furious, it's as timely as today's headlines and as big-hearted as your best work friend. A fantastic read." 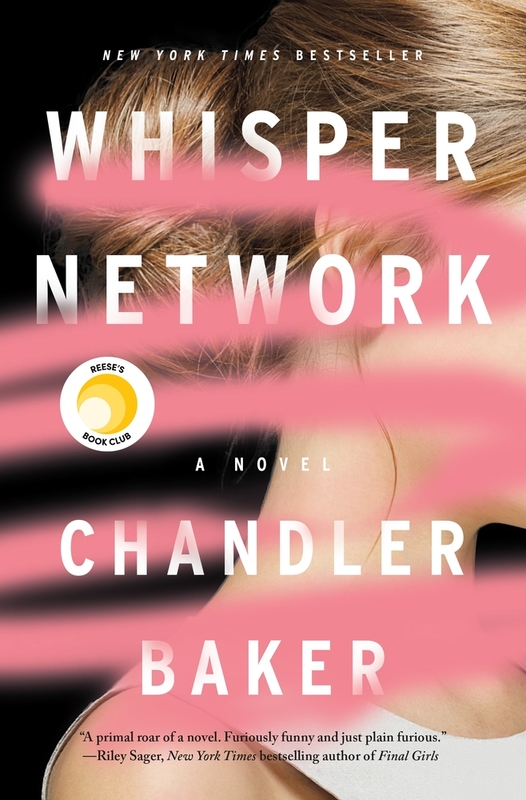 "Whisper Network is Big Little Lies meets Working Girl: a deft, honest take on what women in the workplace must endure; a fast-paced whodunit; and a gripping, #metoo-era thriller about how to fight for justice when the law isn't on your side. If your boss has done more than wink at you, if you've had to pump during a conference call, or if a man has ever taken credit for your work, then Chandler Baker's latest is a must read." "It’s Nine to Five on speed. This preternaturally timely novel — provocative, disturbing, and (dare I say it?) surprisingly fun — is serrated as a kitchen knife, and twice as sharp. I read it with horror. I read it with pleasure. I’ll read it again." Chandler Baker lives in Austin with her husband and toddler where she also works as a corporate attorney. Whisper Network is her adult debut. Chandler is the author of the young adult thriller, Alive, as well as the High School Horror series.